The senate, in most respects, resembled individual societies from across the galaxy, come together to politicize on situations that were in need of discussion. 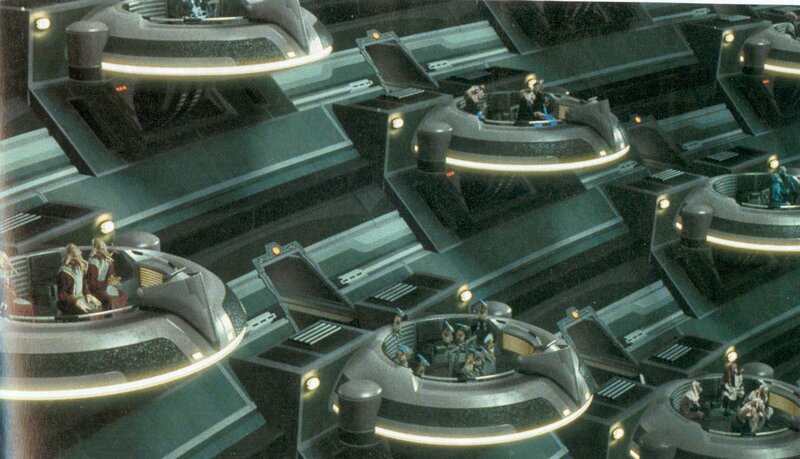 Each Senate voted for or against a situation at hand, and the Supreme Chancellor carried out the result, after deliberating and discussing such an issue. Members of the Senate play a more political role within JO, often discussing current matters as the main plot flowed. Much like the Supreme Chancellor rank however, the rank hasn't been used for sometime. Members interested in the rank are required to submit a character bio to the JediOrder Club via note. The club can be found here.